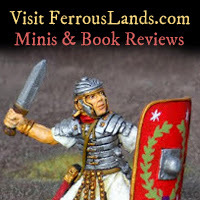 Note: As it is rather difficult for historians to precisely establish the relationships between all the varied ranks in the Roman army, this list contains only the principle ranks and titles. Legatus Legionis The overall legionary commander. This post was filled by a man from the senatorial class picked by the emperor. He usually had previous military experience in command as a tribune. Typically, the man filling this post used it only a tem[porary step in his political career. So, unfortunately, it was very possible for a legion to be commanded by a legate who had little interest or ability in military matters. Tribuna Laticlavius Each legion had 6 military tribunes who were the sons of senators or other equestrians (knights). Normally the tribunes divided themselves into 3 pairs and took turns commanding in 2 month intervals. This post was used as a way to train for later being a legate. Praefectus CastorumThis man was responsible for maintenance of the legionary fortress, supplies, munitions, equipment, etc. This post was usually filled by a man in his 50s or 60s who had been promoted from the rank of Primus Pilus. When the legate and senior tribune were away, this man took command. Primus Pilus or Primipilus This was the centurion of the first cohort. He was the senior centurion of the legion. 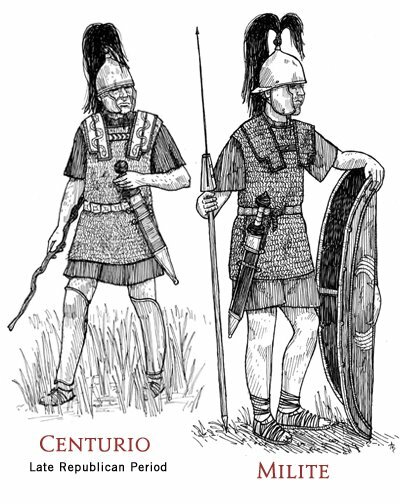 2nd or sometimes 3rd in command of a century because some Centuries had a 2nd Centurian then an Optio. The Optio carried a staff called a hastile - with an ornamental knob at top. In battle he was stationed at the rear of the advancing unit. 3rd in command of a Century. The tesserarius was traditionally responsible for commanding the sentries. The name comes from the tessera, the tablet that the night's password was distributed throught the camp (castra). Some centuries had more than one. They were responsible for the regular duties of the milites. These were the non commisioned officers appointed to aid the officers. Any soldiers who were exempt from the less desireable duties (such as latrine duty and digging ditches I presume) were called immunes. They had this special status because they held extra responsabilities such as being among the medical personnel, a musician, an instructor, etc. 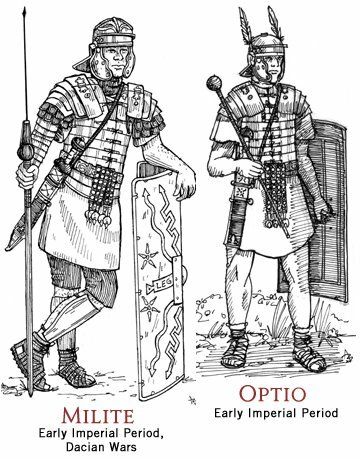 Milites: The "enlisted men" of the legion: common soldiers.